Green travel has become an absolute buzzword over the last couple of years and with good reason. By now we all have realized that everyone’s actions matter when it comes to the environment and that doesn’t or shouldn’t stop when holiday time comes around. I think it was last year during my first trip to the Maldives when I realized what a huge problem the world has with waste. This might make me sound naive and obviously, I knew about it before but being in a destination like the Maldives where life is confined to small islands, pollution is all of a sudden right in front of you. There are no hidden landfills and no recycling facilities, there are trash islands and if they are full, trash either needs to be burned or new islands need to be allocated. Seeing that pollution doesn’t stop at the shores of paradise slowly got me thinking and rethinking my own travel and lifestyle choice. I am still far from living a completely green lifestyle but for the past year, I have tried my best to be a little greener at home and on the road. I do believe in baby steps and positive reinforcement rather than putting myself or others down for all the things I don’t do (yet). By now I have added a few things to my luggage to make my travels more eco-friendly regardless of whether I am traipsing around in the jungle or stay at a fancy resort. One of them is my Grayl bottle which filters water and allows me to drink water from a tap or even a stream, a diva cup, bamboo toothbrush, solid shampoo, reef friendly sunscreen as well as a little cotton bag for shopping so I don’t need to get plastic bags. I also have my own bamboo straws but have been happy to see that more and more places all over the world are starting to use paper or metal straws. Obviously, my biggest issue as a travel blogger is flying so much and my carbon emission. While I always take trains and public transport in Germany, a huge part of my job entails flying around the globe sometimes for ridiculously short amounts of time. While that is the reality of press trips I try to travel slower when I can set my own pace to get the most out of each flight I take. So when I got invited back to the Maldives I decided to stay as long as possible (yeah, I know a hard choice in the Maldives!) and also add some time in adjacent Sri Lanka. Once I arrived in Male I realized how lucky I had gotten with my accommodation: the Soneva resorts which had invited me are not only known for being the original barefoot luxury hotels but also frontiers when it comes to being an environmentally friendly enterprise. 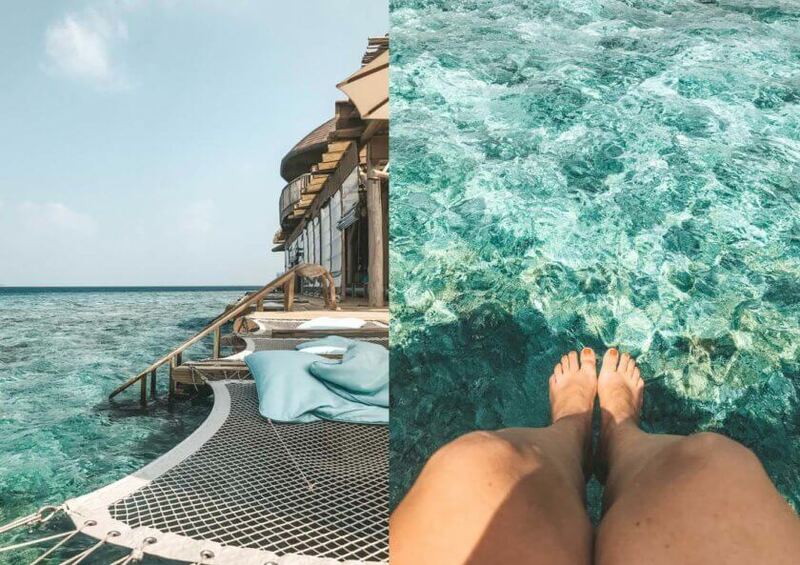 Their motto is SLOW LIFE (Sustainable-Local-Organic-Wellness -Learning-Inspiring-Fun-Experiences) and that starts by leaving your shoes at the proverbial doorstep or in my case the speedboat that takes me to Soneva Fushi – ‘no news no shoes’ is on my agenda for the next few nights. Soneva has two resorts in the Maldives, Soneva Fushi and Soneva Jani, as well as a private sailing yacht. 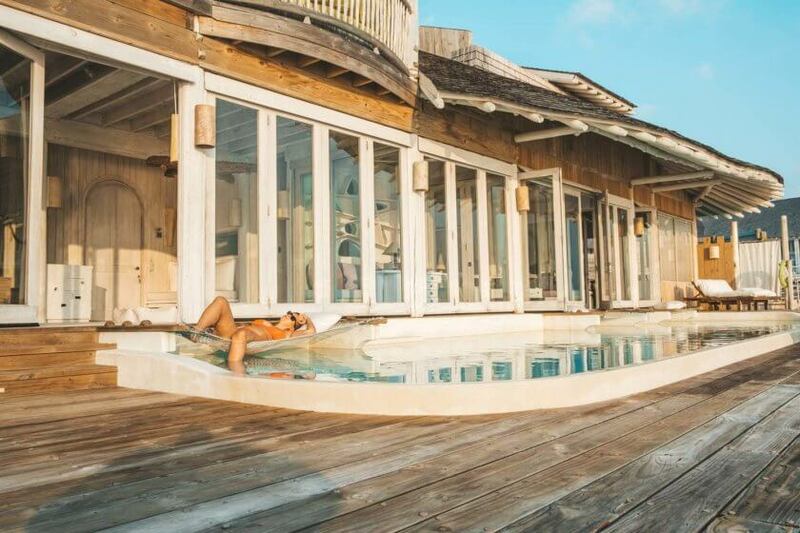 While both offer the ultimate luxurious experience the resorts are completely different from each other: Fushi is a green haven if you want to play Jane of the Jungle and Jani is a paradise for little mermaids, consisting only of overwater villas. What they both have in common is a laidback approach to luxury. If you are looking for marble bathrooms and gold fittings you will look in vain. Rustic beach house chic comes to mind when my Mr. Friday (a Maldivian job description for personal butlers) shows me to my villa at Soneva Fushi. Everything is earthy and green – it is easy to feel like Robinson here if a fancier version. Every villa comes with a bicycle and that is a good thing because the island is quite big and I feel quite lost in the best way possible. 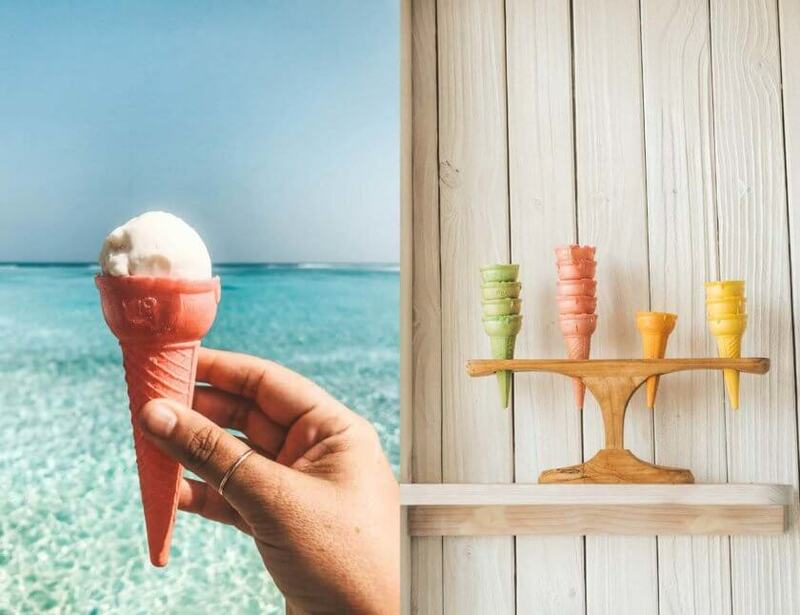 There are a few dining options including the main restaurant area Mihiree Mithaa which is also home to what I think is the best part of Soneva: the cheese & charcuterie room, the chocolate room aptly named ‘so guilty’, and the ice cream bar called ‘so cool’. These rooms are open regardless of mealtimes and cures any snacking urges you might have. The Fresh in the Garden restaurant offers dinners in the trees while Out of the Blue is the closest you will find to a communal pool area – only there is no pool but just blue ocean, a slide, enough chilling spots for everyone, and plenty of dining choices. I love hotels that have enough space so they never feel crowded and the German in me doesn’t need to get up early in order to reserve a sun lounger. Jani, on the other hand, is much smaller and built almost entirely over water and it is equally futuristic and beach house chic. 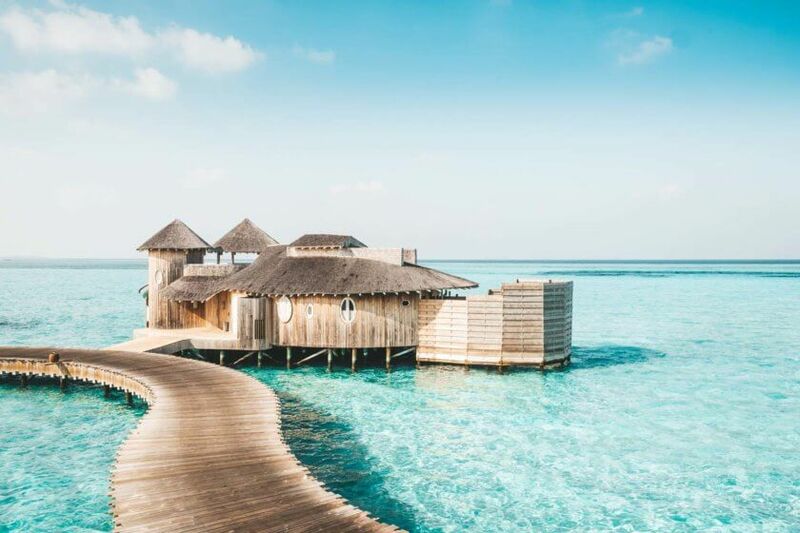 You will have a hard time finding ocean that looks more turquoise even in the Maldives and so it comes as no surprise that each villa comes with its own slide and ocean access. Just be careful to not slide on top of one of the many baby sharks that hang out here – marine conservation is important to Soneva and sliding on top of baby sharks is frowned upon. For those who prefer a pool to the ocean (what kind of person are you??) each villa also has a pool big enough for lapses and a quick bike ride will get you to the adjacent island with some picture-perfect beaches. The highlight of the resort, however, is without a doubt the Insta-famous retractable roofs in the bedroom: with a click of a button you can open the ceiling and enjoy a stargazing session from bed. Another thing I adore about both resorts – all inclusive truly means all-inclusive here. Except for alcoholic beverages, there is no limit to the menu. Sushi for breakfast, fancy smoothies for lunch, another scoop of ice cream, and an extra helping of prawns for dinner – all included! 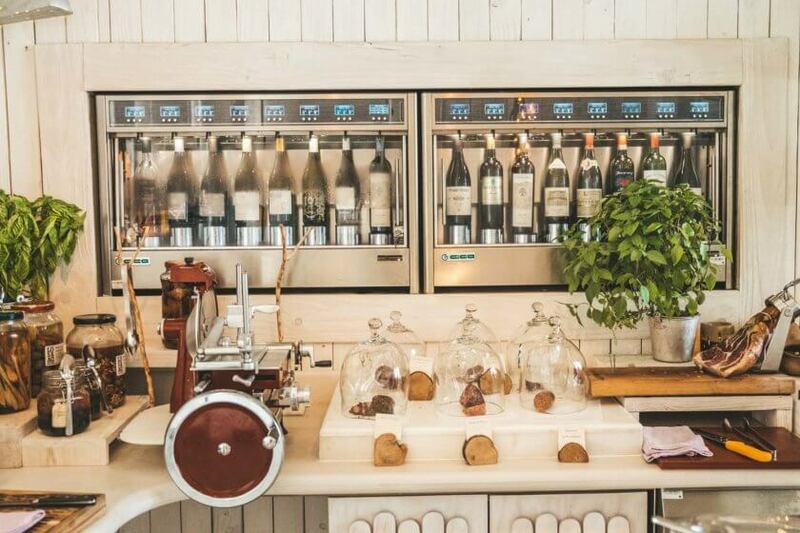 Needless to say, drinks are served with paper straws, water is filtered and bottled (even the sparkling water), and as an added touch ice cubes are served according to the beverage you are drinking – coffee icecubes belong into a glass of iced coffee while iced tea gets lemon icecubes. Both resorts offer plenty of activities or as much relaxation time as you like. 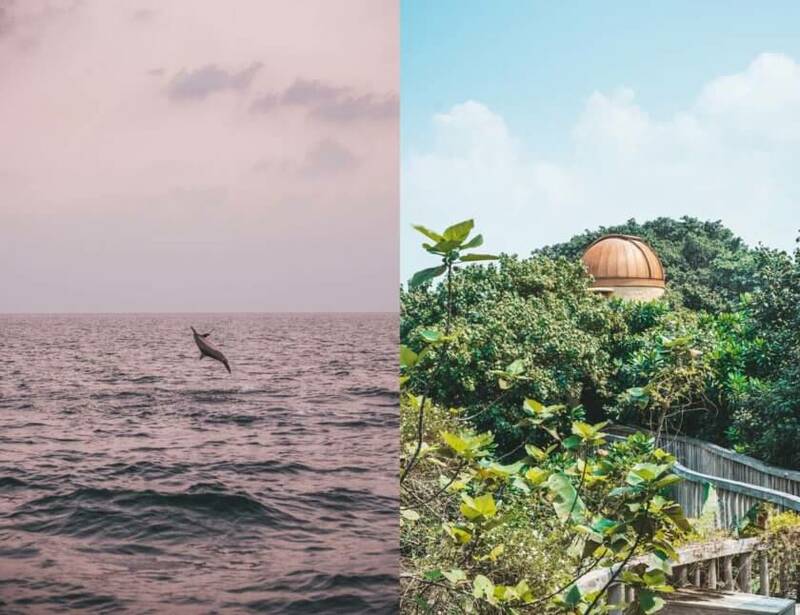 Of course, both have a gym, a spa, and a dive center as well as free snorkel equipment and a selection of yoga and wellness classes. Upon check in your Mr. Friday will give you a list of weekly activities and advise you which ones are free, which you need to pay extra and book for in advance. During the day Soneva offers a variety of activities like a sandbank picnic, dolphin cruises or guided snorkel excursions. The latter is done by the resident marine biologist who will show you the coolest stuff – manta family anyone?! 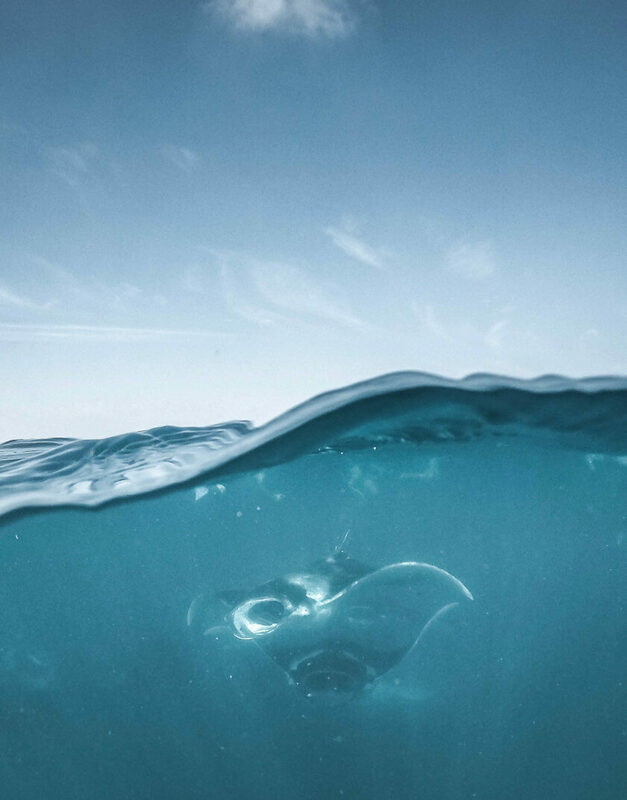 – and teach you more about the ocean, its inhabitants and how we can protect them better. Luckily activities like ray or shark feeding are not on the agenda at Soneva as all ocean-related activities are done in a sustainable and ethical manner. For dinner, you have several options that can be as social or intimate as you want them to be. 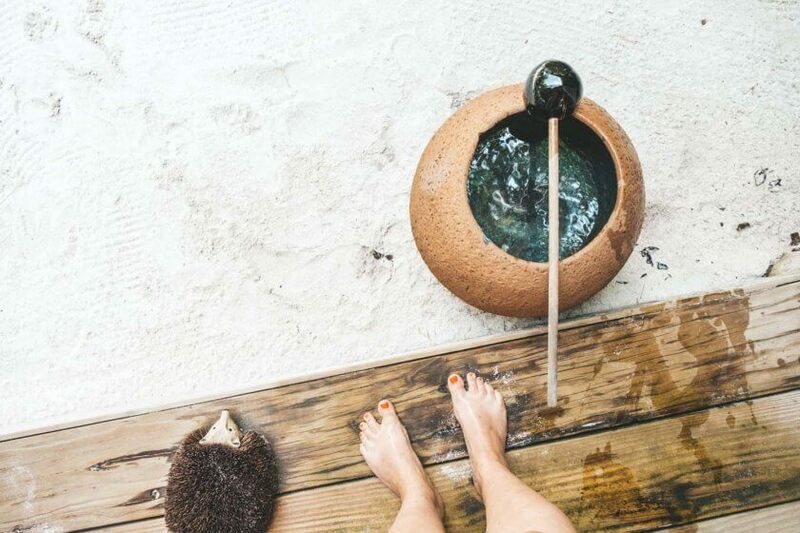 Great for solo travelers like myself because while Soneva is incredibly romantic honeymooners don’t rub it in your face – there are no rose petals and folded swans in sight. 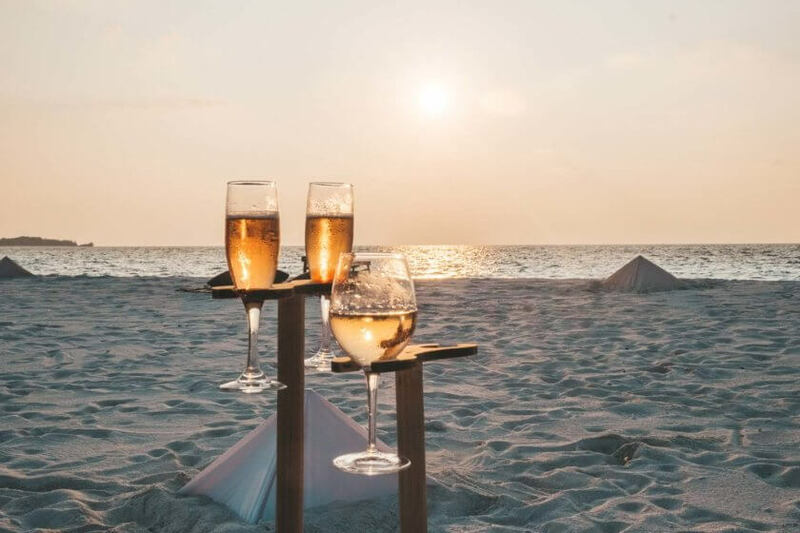 Instead, you have the choice of spending a night at the sandbank on some nights with your partner whereas it becomes home for the resort’s cocktail hour on others – perfect opportunity to meet the staff and the other guests if you are not here for romance. Afterward, you have the between dinner & a movie done in style at Cinema Paradiso, the open-air movie theatre, an astronomy session with your meal or roomservice more aptly named ‘in villa dining’ here. Greenwashing has become a big issue for many companies these days hotels included. 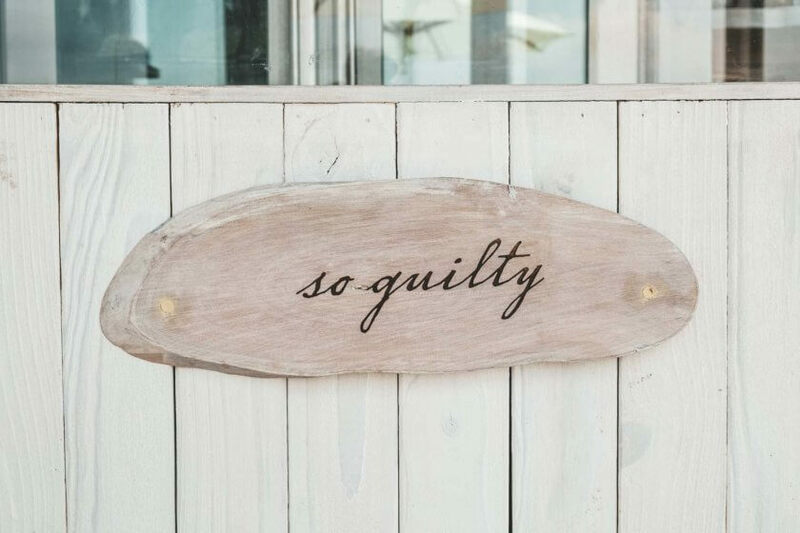 Not everyone operates as environmentally friendly as they say they do and often the word ‘eco’ is slapped on in order to appeal to customers – after all, being eco is in right now. 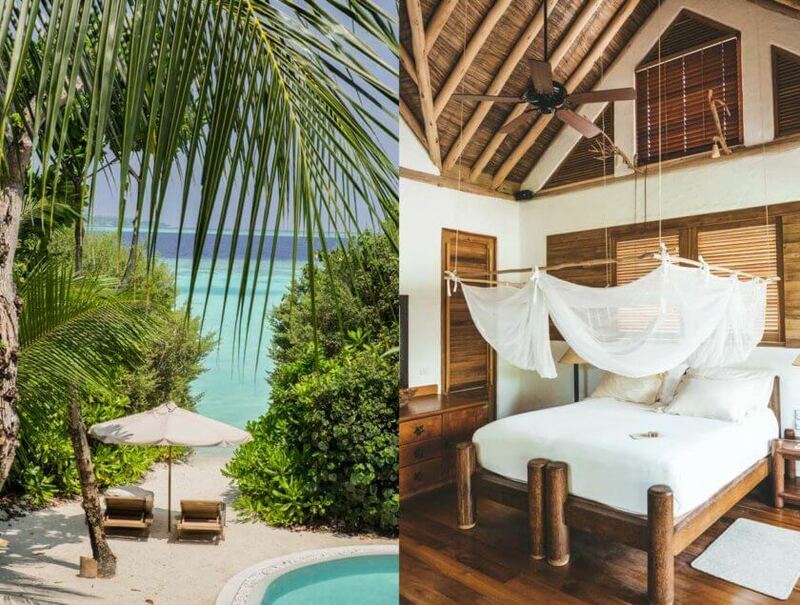 Soneva, however, is the real deal, showing that sustainability and luxury are not only not mutually exclusive but rather an interconnective concept. With that I was pleasantly surprised to learn upon arrival that I could immediately ditch my bamboo straw – the resorts are completely plastic-free and carbon neutral. Both resorts are built using natural materials with least invasive techniques to the surrounding nature. Unspoiled nature as the utmost luxury is part of the deal here. 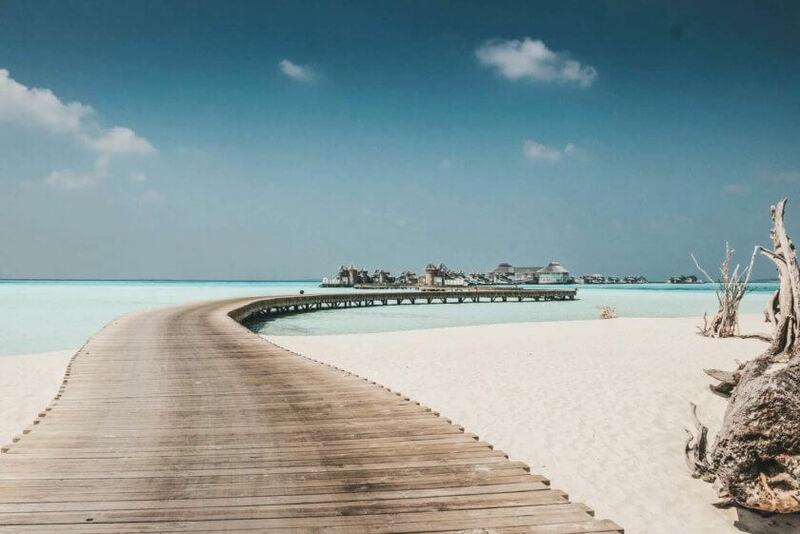 Another important part is the inclusion of the adjacent local island, Eydhafushi, and paying it forward in order to bring sustainability to the Maldives in general not just to the resorts. 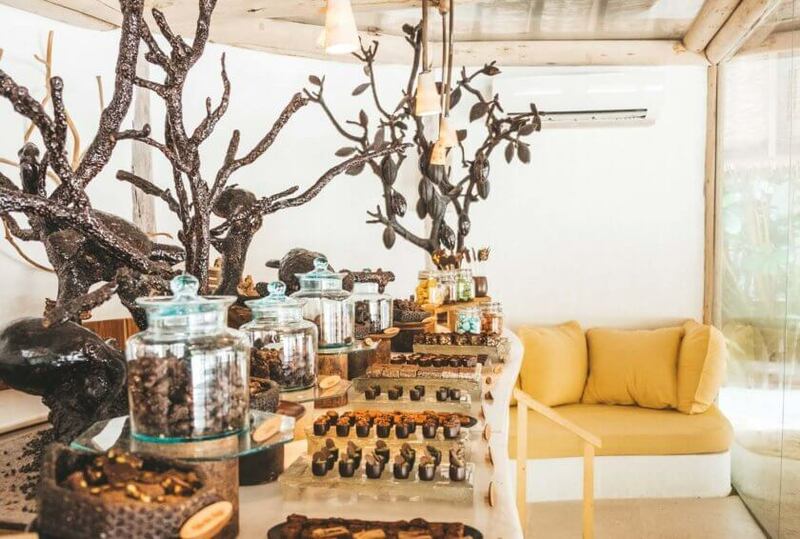 The heart of the green initiative is the Eco Centro which is located in the middle of Soneva Fushi and operates as an independent enterprise. Under the leadership of Gordon Jackson trash is turned into treasures here or as his title implies – waste to wealth. That includes coconut charcoal, coconut oil, bricks made from styrofoam boxes, a huge compost heap, and their latest venture which will hopefully turn plastic into surfboards. 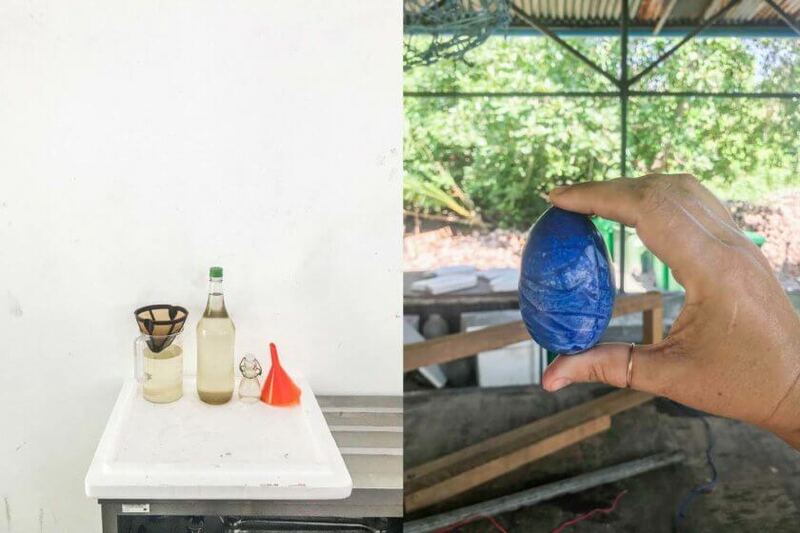 Thanks to initiatives like this the resorts can recycle 90% of its waste and the Eco Centro is almost able to operate with a profit showing that being environmentally friendly is also profitable. 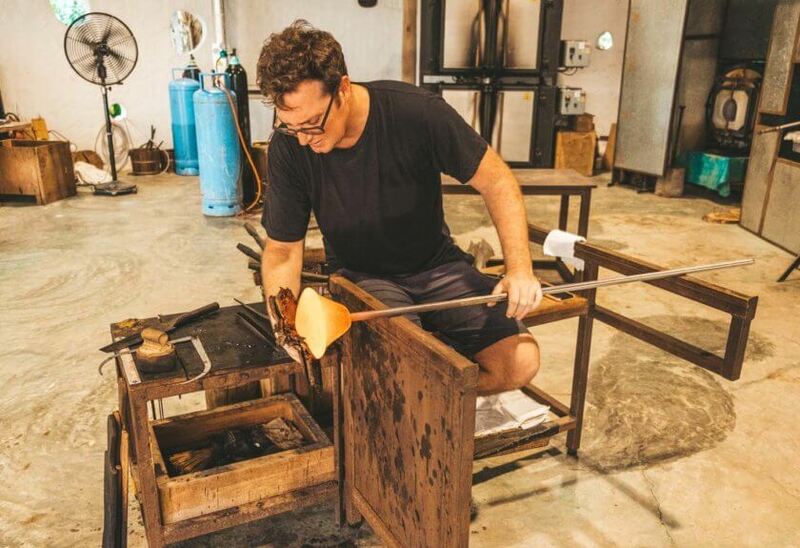 Another highlight is the Glass Studio where glass is being recycled into the most beautiful tableware. In addition, traveling artists come here to work and create art pieces for the adjacent gallery space. 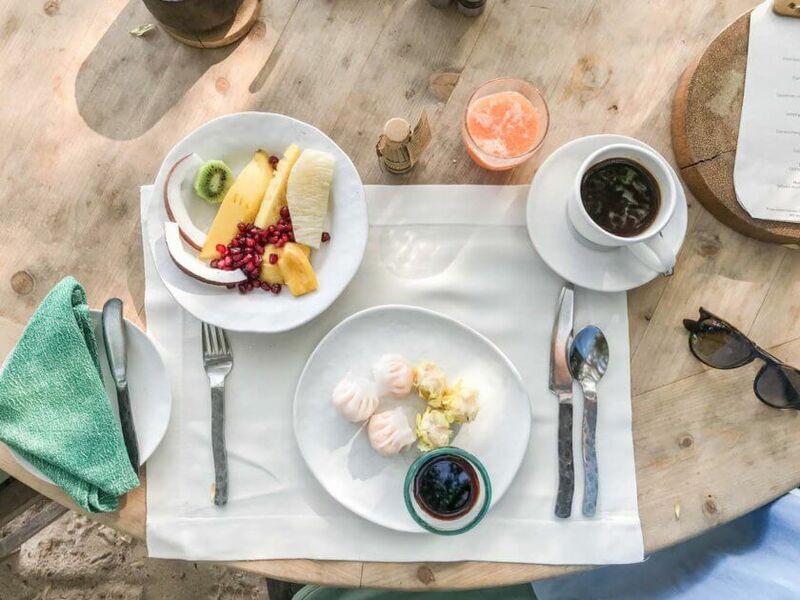 When it comes to food there are plenty of choices and much of it comes from Soneva’s very own garden. Needless to say that there are plenty of options for vegetarians and vegans and every Thursday is a meat-free day on the island. Even the cheese & charcuterie room is only half stocked Thursdays with a sign explaining the impact of meat consumption on the environment and the reasoning of going without meat for one day per week. 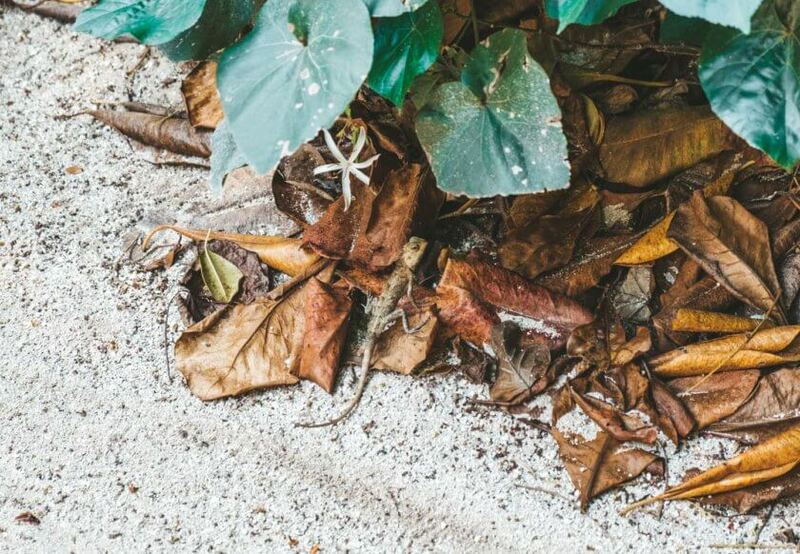 As you can tell, Soneva provides a few good reasons for a visit. 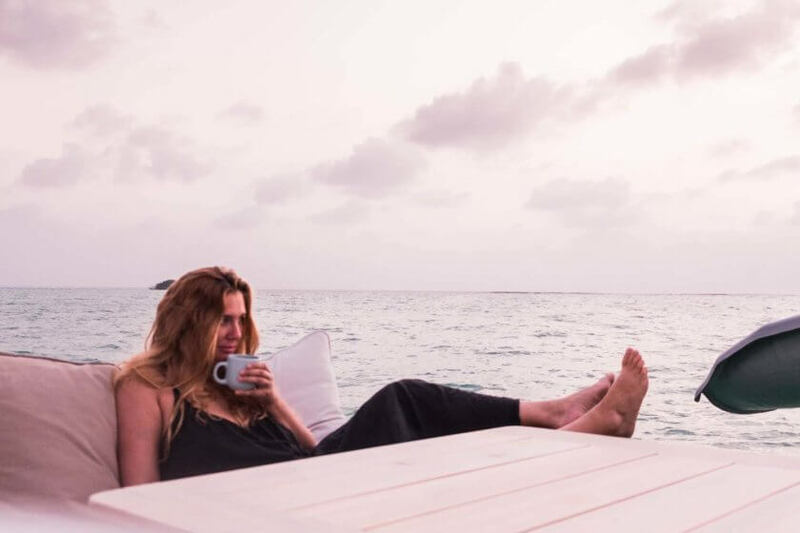 Whether you are looking to feel like a luxurious castaway and ditch your shoes for a few days or want to feel good about your travel style and hotel choices – living a little more eco-friendly is ridiculously easy and paradisical here. 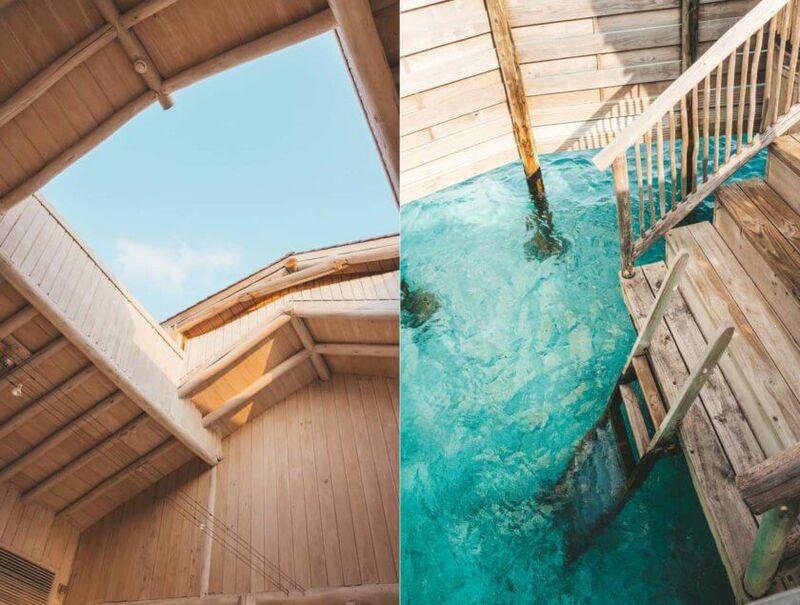 Disclaimer: Soneva invited me to a 4-night stay to explore both of their resorts. 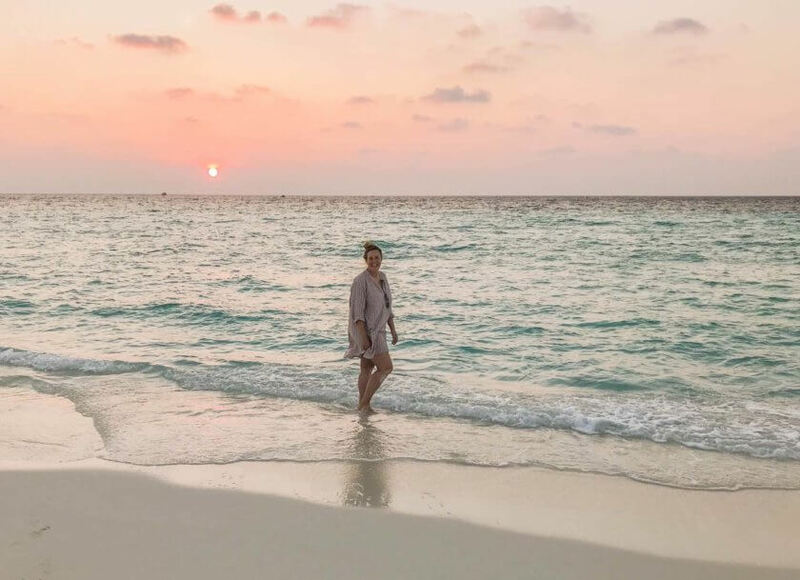 While I was absolutely blown away by the beauty and thoughtfulness that went into creating them, I was most impressed with their environmental initiatives hopefully inspiring other resorts in the Maldives and everywhere to follow suit.